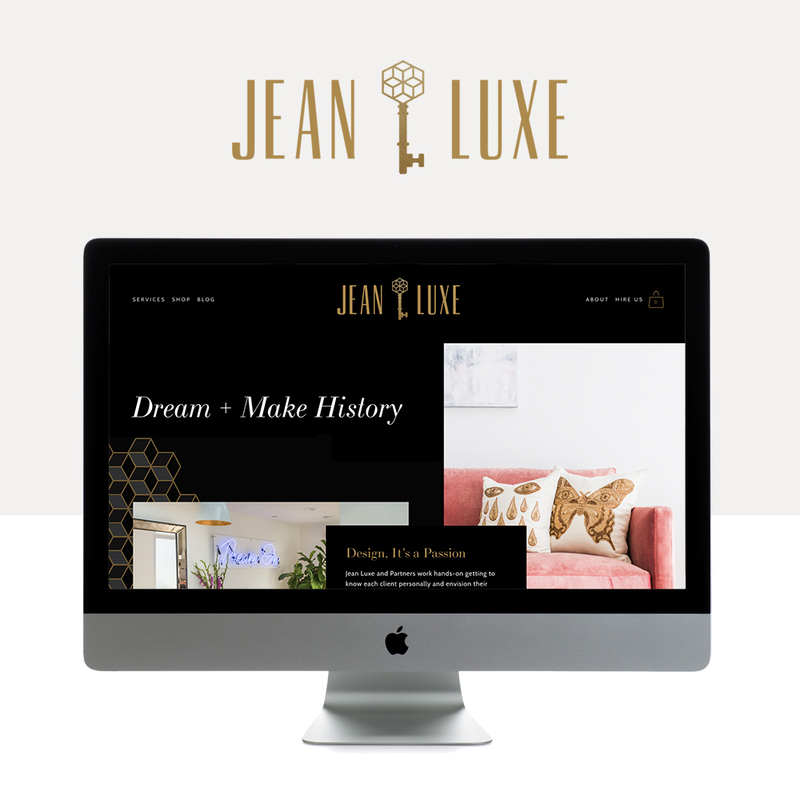 We loved working with Jodee, owner of the Jean Luxe interior design firm, on her classy and luxurious home online! We Restyled our bold Brooklyn Template, creating the high-end and gorgeous site of her dreams. The black background really allows for photos to pop – and this was the perfect design for Jodee’s luxurious interior and exterior estate photographs! Check out our Exclusive Q&A with Jodee! Jodee: My passion started about 6 years ago when I was traveling to New York, Miami, and living in Los Angeles. All of the hotels I stayed in and cities I visited sparked an interest into Interior Design and art. Jodee: I’m self-taught. I had a boring desk job in the digital/tech sector. I would spend a good amount of my time online researching anything and everything there was to know about Interior Design, furniture styles, art, vintage furniture, and home renovations. Jodee: Nothing is handed to you. You need to go out and find clients, work, and show your skills to succeed in this business. Jodee: It’s not as easy as it looks. There are many technical aspects to a home renovation, managing the projects and making sure it all goes together in the end. Jodee: When I finally realized it was my passion. It was an obsession for me and the only thing I was interested in. Jodee: I’ve gained a decent reputation in my community and in the art world as well. I hope to continue to grow, always evolve with the trends, but stay true down my design aesthetic and what is classic. Jodee: The process for me was great, and I really love all the final products!